The alliance Renault-Nissan is planning to be the world leader in electric transportation, with the Nissan Leaf’s the biggest seller. 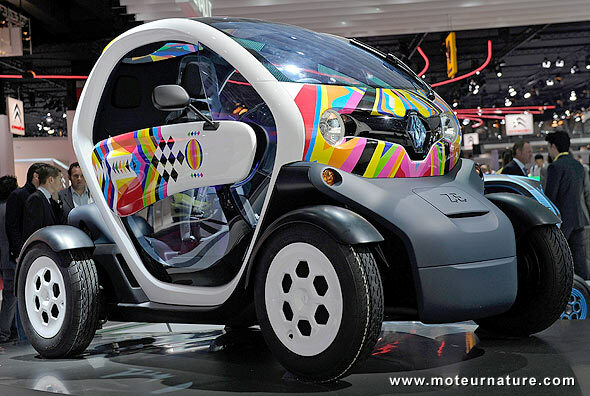 But Renault will have several electric models too, with the smallest to be the Twizy (below). 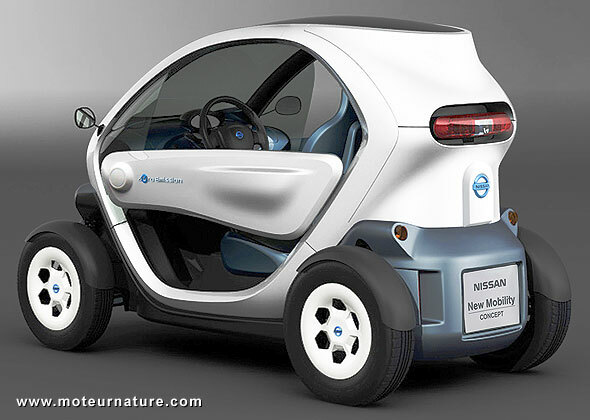 It’s not really a car, more like a personal transportation tool, and Nissan will get it too as the concept above shows. It doesn’t have a name yet, Nissan introduces it simply as the New Mobility Concept, and we don’t know yet if it will turn into a production model like the Twizy. Nissan says it’s a two-seater, let me add that it’s not very comfortable for the person in the back. We have to think of this vehicle as a cheap and clean way to move alone for short errands at low speed. 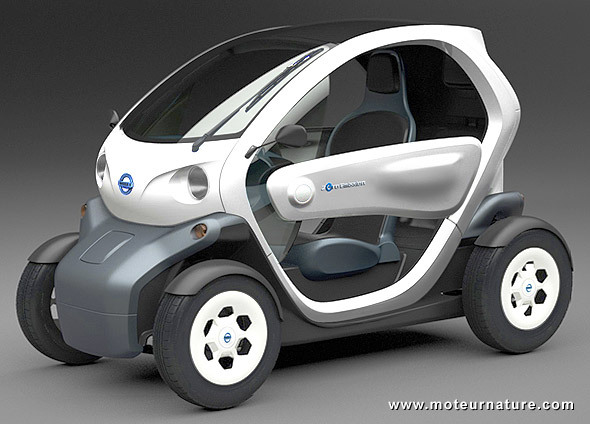 With a 20-hp motor, the Twizy can drive up to 46-mph, range’s being 60-miles. So it may not be the post appropriate vehicle for the wild West, but for Tokyo or Europe’s congested big cities, this New Mobility Concept might be more than adequate.